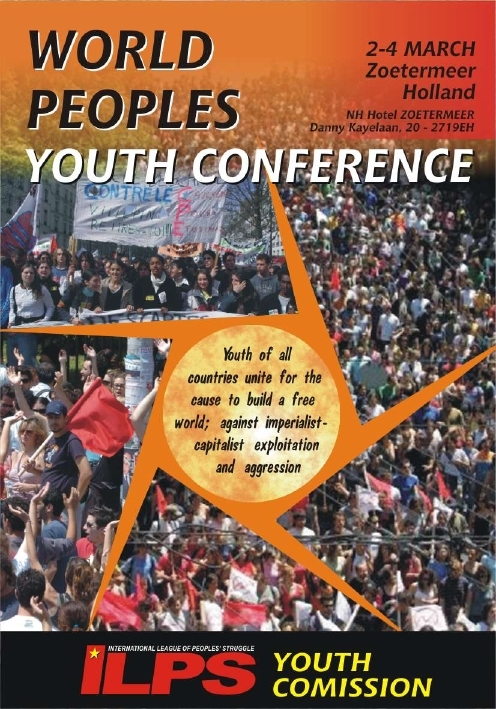 International League of People's Struggle World Youth Conference. Zoetermeer, Holland, 2-4 March 2007. "Youth of all countries unite for the cause to build a free world; against imperialist-capitalist exploitation and aggression."